The Game Day Recycling Challenge is a friendly competition for colleges and universities to promote waste reduction at their football games. 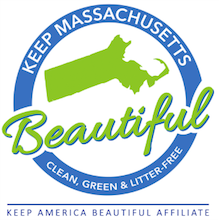 The competition is run by a partnership of the College and University Recycling Coalition (CURC), RecycleMania and Keep America Beautiful (KAB) and is supported by EPA’s WasteWise program. During the challenge, colleges and universities implement waste reduction programs during home football games. Schools track and report waste reductions and disposal data that is used to rank the schools. Visit the Game Day Recycling Challenge website for more details.